PC gaming accessory maker Razer is partnering with boutique PC shop CyberPowerPC to create build-to-order desktop machines. The foundation of the CyberPowerPC P400 “Designed by Razer” is a Phanteks Eclipse P400 mid-tower ATX case with a matte black finish and a tinted tempered glass side panel. A backlit version of Razer’s iconic three-headed snake logo graces the front of the case while on the inside, it’s all about Razer’s Chroma Hardware Development Kit (HDK). Razer's Chroma HDK unlocks customizable lighting features that can be synced across peripherals and PCs. Custom settings utilizing 16.8 million colors and a variety of lighting effects can be created using the Razer Synapse 3, the device configurator tool that is currently in beta. Shoppers will be able to outfit the internal hardware to their heart’s content. Razer launched its PC chassis design licensing program in 2014. Min-Liang Tan, Razer co-founder and CEO, said their partnership empowers gamers to build out their dream gaming battlestation. With CyberPowerPC and their ecosystem of hardware, software and services, Tan added, users can get the most out of their gaming experience. 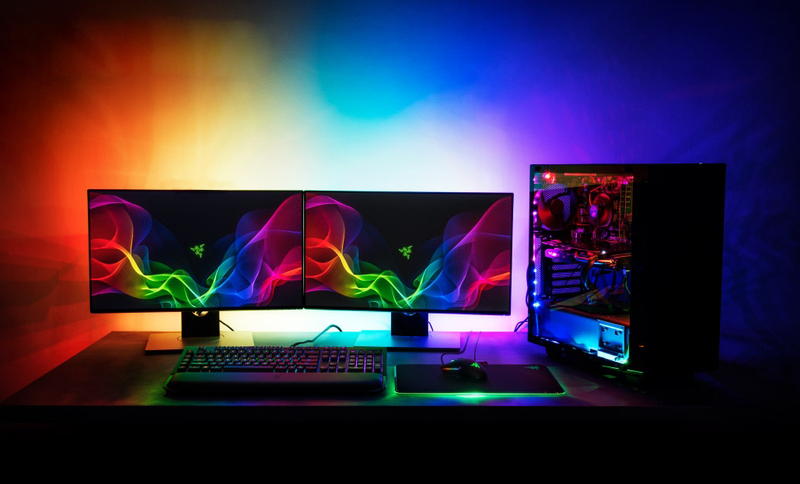 CyberPowerPC CEO Eric Cheung shared similar sentiments, saying that with Razer’s support and their integration of the Chroma HDK, the Designed by Razer cases will bring gaming immersion and performance to all gamers.